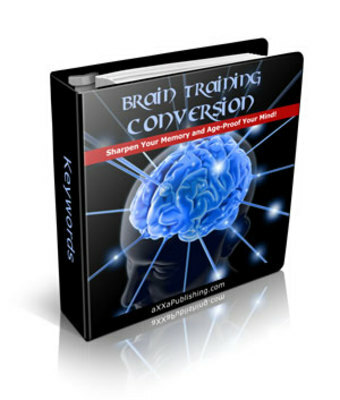 Brain Training Conversion: Hot Tips on Keeping your Brain in Shape!" I found myself in the same situation not too long ago. I desperately wanted to be as witty and smart as so many of my friends were. The trouble was that no matter how hard I tried or what I did I just couldnt seem to get the hang of it. Thats when I decided I had to find out the right way to approach brain training. See My Store For More Products!! !